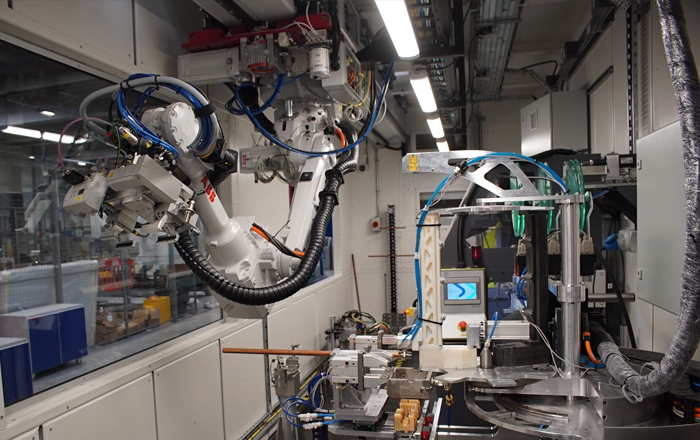 An innovative “Factory in a Box” demonstrator to show businesses how they can grow through the adoption of smart manufacturing techniques and processes has been launched at the Manufacturing Technology Centre (MTC). The launch event brought together industry thought-leaders, academia and the MTC’s Smart Manufacturing Accelerator team, which delivers integrated manufacturing and supply chain improvements based on industrial digital technologies. 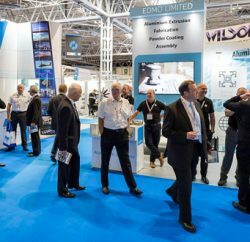 Delegates saw the Factory in a Box demonstrator working on complex pipe-work manufacture and assembly for the thermal energy industry, but the principles are applicable to a wide range of manufacturing sectors. 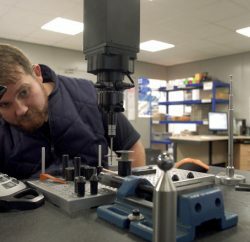 The Factory in a Box demonstrator – which is part of the £60 million Innovate UK-funded Energy Research Accelerator (ERA) programme – was formally launched at the Manufacturing Technology Centre in front of an audience of nearly 300 manufacturing leaders. Presentations demonstrated how their businesses could benefit from the adoption of a smarter, more digital approach. The Factory in a Box demonstrates a number of industrial digital technologies in an autonomous, rapidly deployable, remote controlled, modular unit. Previous PostSubcon Announces First Wave Of Conference Speakers Next PostShould UK Ports Improve Infrastructure Capacity Ahead Of Brexit?